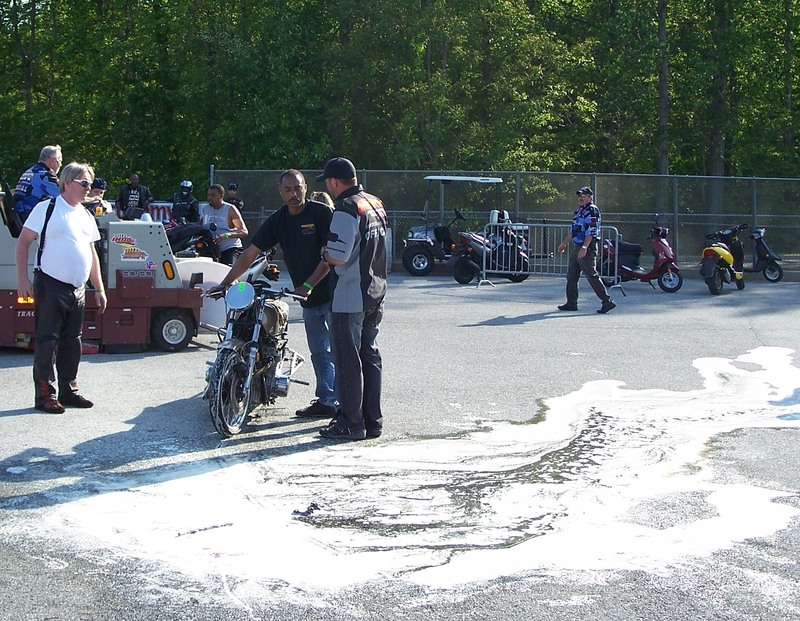 At the MIROCK Spring Nationals from Maryland International Raceway, Apr. 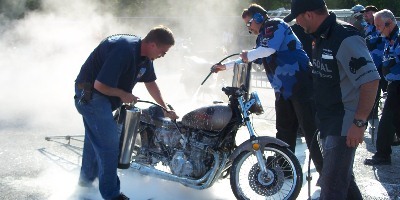 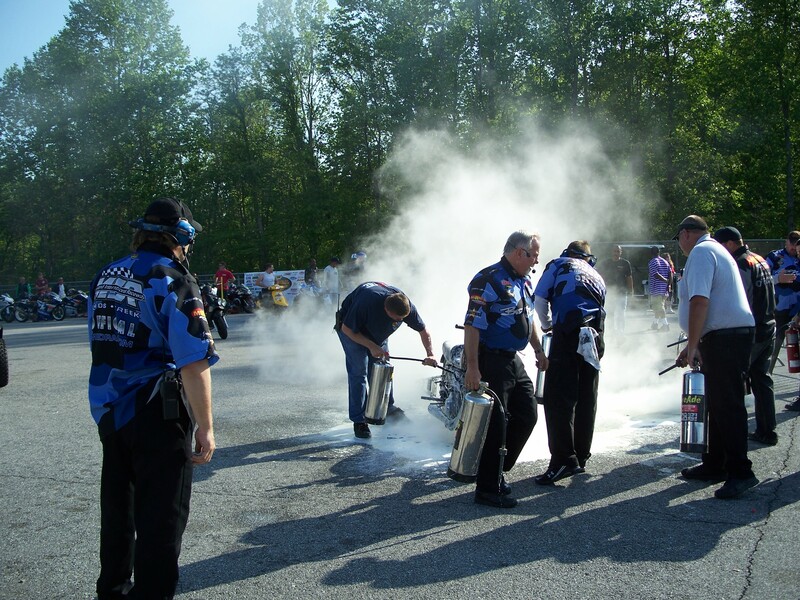 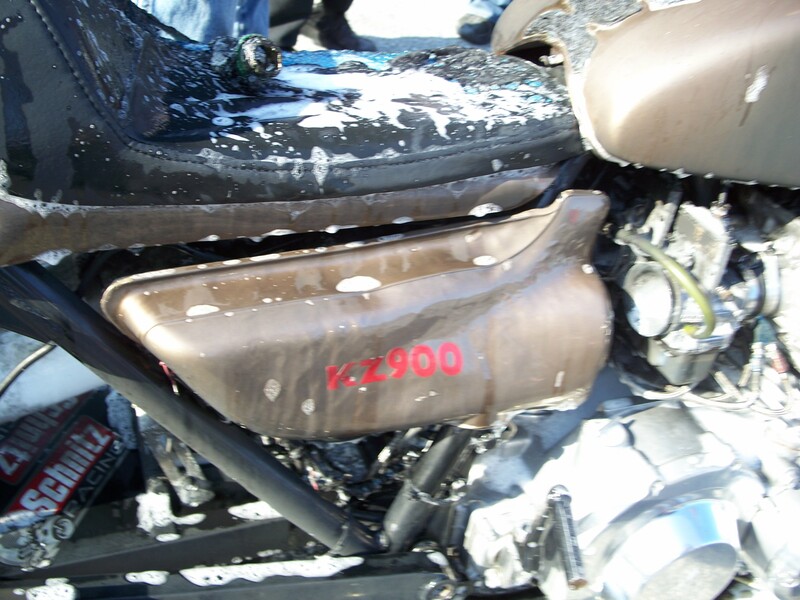 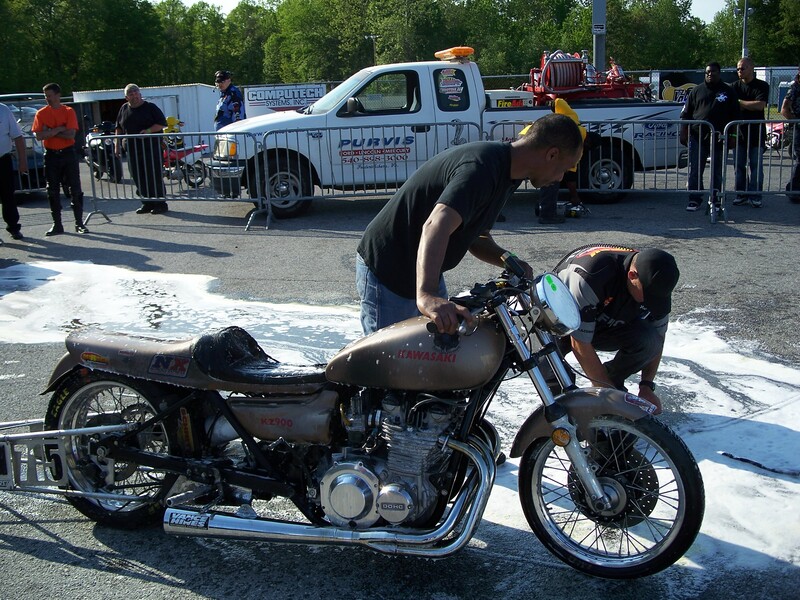 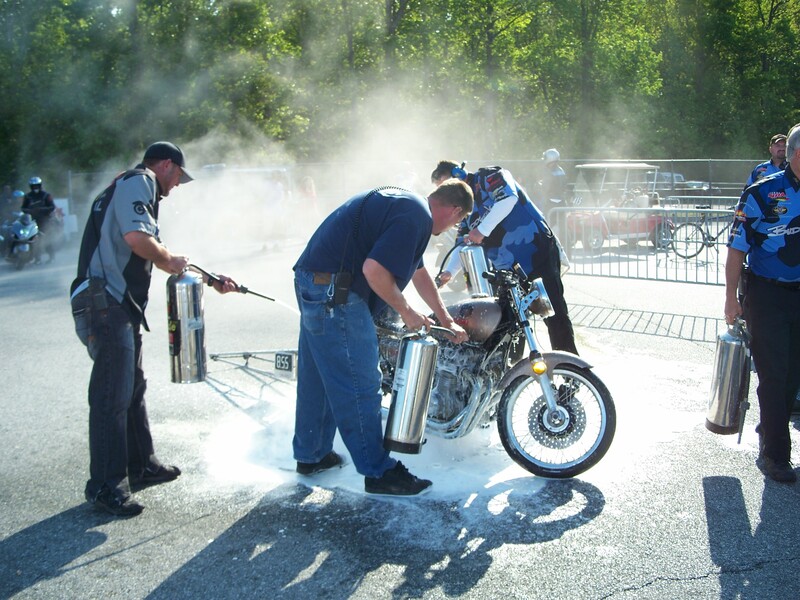 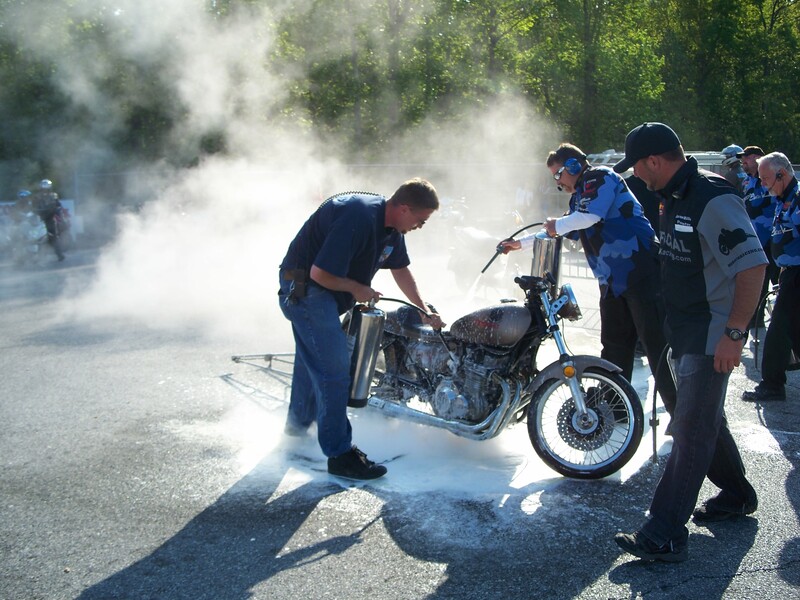 30-May 1, an electrical problem, racing fuel and a full bottle of nitrous made for a scary situation in the staging lanes when a Kawasaki KZ burst into flames. 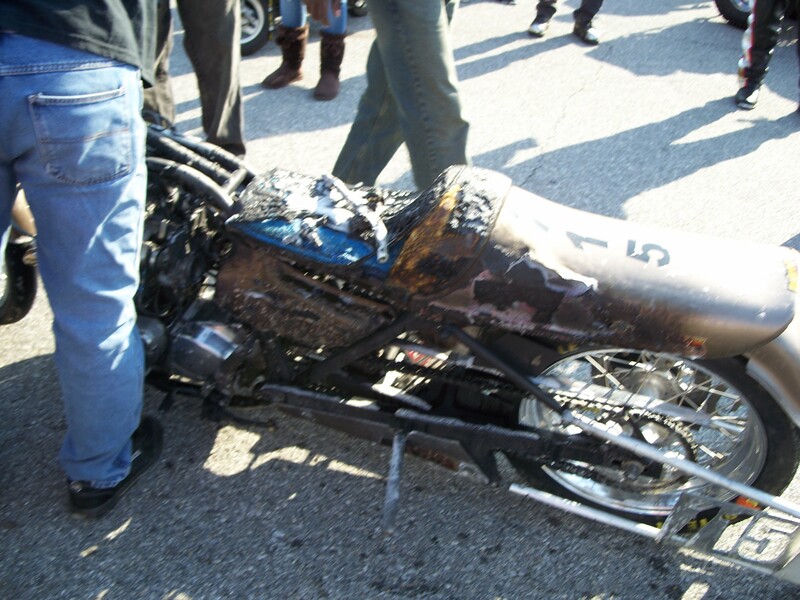 The fire was not easy to put out. 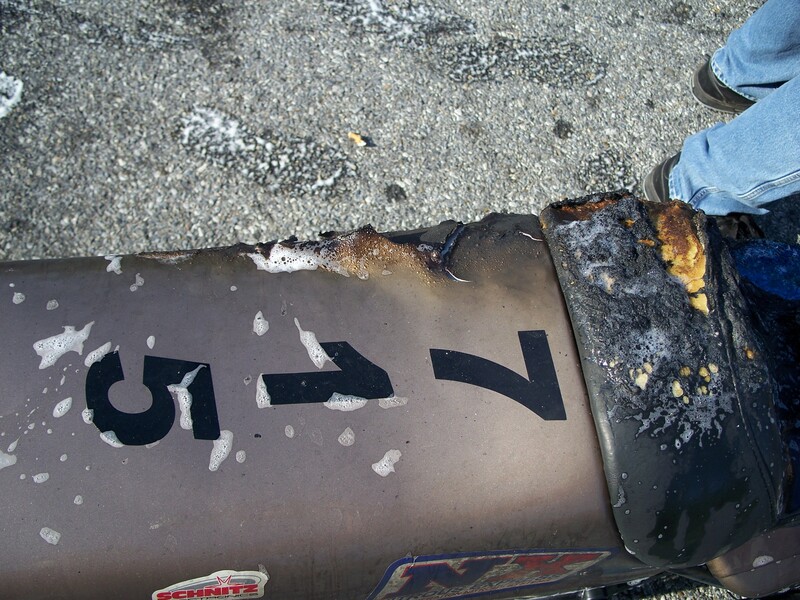 Fortunately, the MIR safety crew was able to battle the flames and extinguish the fire.